Started with this project in July 2009. This is where the whole water cooling part started. 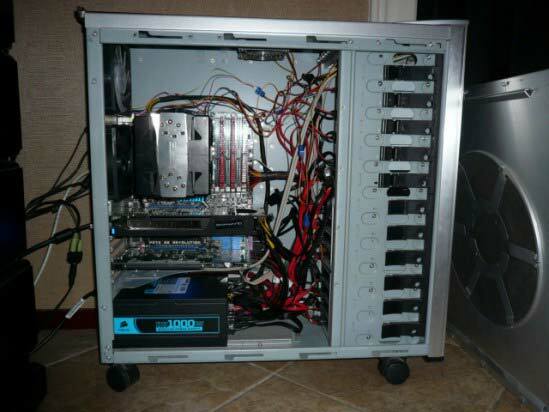 Just got a completely new rig with an i7, gtx295 and 8 hdd’s. That noise and heat when i was playing a game for more then 15 minutes. Googled around and found my current start site when i open Firefox. Spend hours on Freddy’s forum to find out everything about water cooling. All my noise and heat problems were solved. I got addicted to Water cooling. Project finished a few months later.